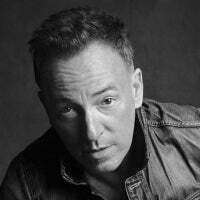 Bruce Frederick Joseph Springsteen was born on September 23, 1949 in Long Branch New Jersey. Nicknamed "The Boss", his career as a musician has spanned over 40 years. In that time, he has won a grand total of 20 Grammy Awards, and was even awarded an Oscar and a Golden Globe in the category of "Best Original Song" in 1994 for "Streets of Philadelphia" which featured on the "Philadelphia" soundtrack. He also earned an Oscar nomination in 1996 for his title track for the film "Dead Man Walkin'" and a Golden Globe nomination in 2009 for "The Wrestler" title track. He has released a total of 18 studio albums to date and was inducted into the Songwriters Hall of Fame and the Rock And Roll Hall Of Fame in 1999. He made his Broadway debut in Springsteen on Broadway at the Walter Kerr Theatre on October 3, 2017, officially opening on October 12 and playing a thrice-extended, sold-out run through to December 15, 2018.